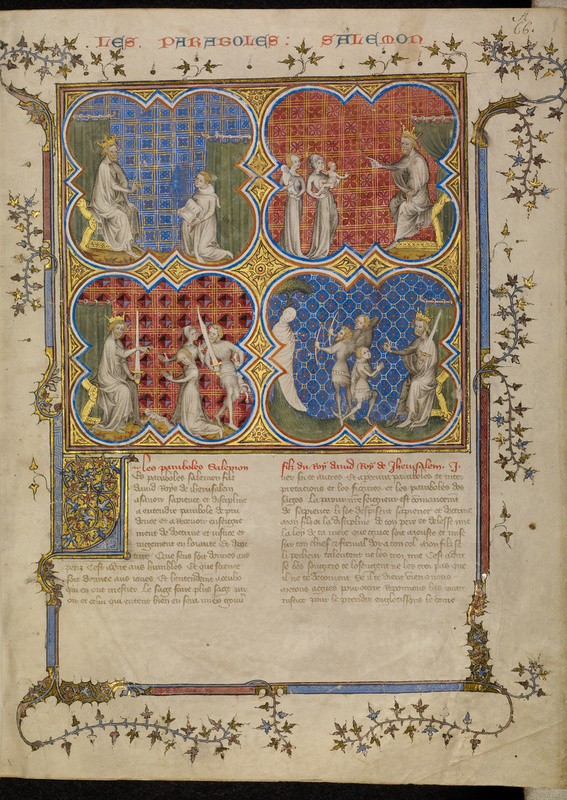 This elaborate frontispiece to the second volume of the Historical Bible accompanies the Book of Proverbs, traditionally ascribed to King Solomon. 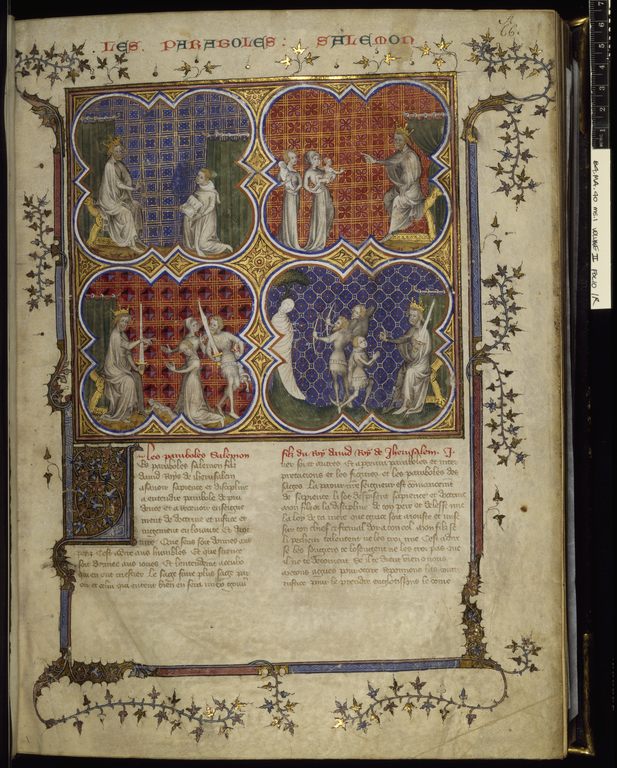 The four scenes show events from the life of Solomon, each of which emphasizes his wisdom. In the upper left, he teaches his son Rehoboam, who kneels before him with a book. The next two scenes tell the story of the Judgment of Solomon. Two women come to Solomon carrying a dead baby and a living one, each claiming the living child as her own. When Solomon orders a soldier to cut the baby in two and give half to each, one woman gives up her claim rather than see the child killed. Solomon recognizes her as the true mother and returns the baby to her. In the last scene, three men claim to be a dead man's only true son. Solomon states that the legal heir will be able to shoot an arrow into the heart of the father's corpse, knowing that the real son will refuse. Solomon's judgments made him a perfect model of wise kingship for the nobles who would have seen this manuscript.